My husband and I will finally be in the financial position to own a home within 12 months. Now when I look at designs in magazines, Pinterest or elsewhere online for inspiration I am taking mental notes of what I love so I can incorporate it into my home. This kitchen has 10 foot ceilings, uses Madura Gold granite for the counter tops, limestone flooring and an armoire to hide the refrigerator. 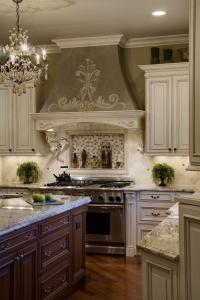 I love the arches, crown molding and how light the kitchen is. 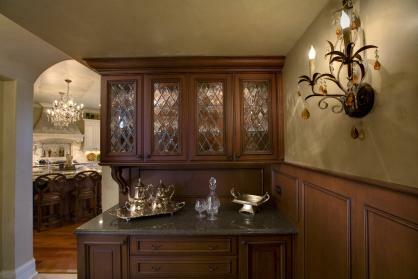 If I were to design a kitchen using this as an inspiration, I would change the flooring and the granite to something a little darker (scroll down to see a similar kitchen featured on trendsideas.com). 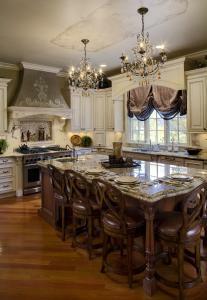 Other than that, this is what my dream kitchen would look like! 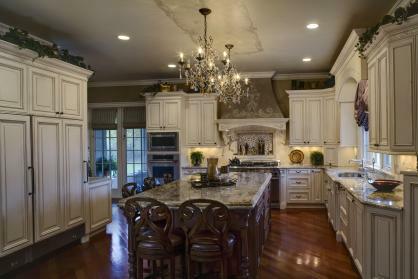 Here is another kitchen featured on trendsideas.com done very similarly though with darker counter tops and flooring. Scroll down for the credits. Both kitchens are beath taking. I've always wanted a white kitchen. 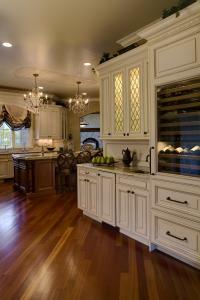 So glad you are able to have a dream kitchen!